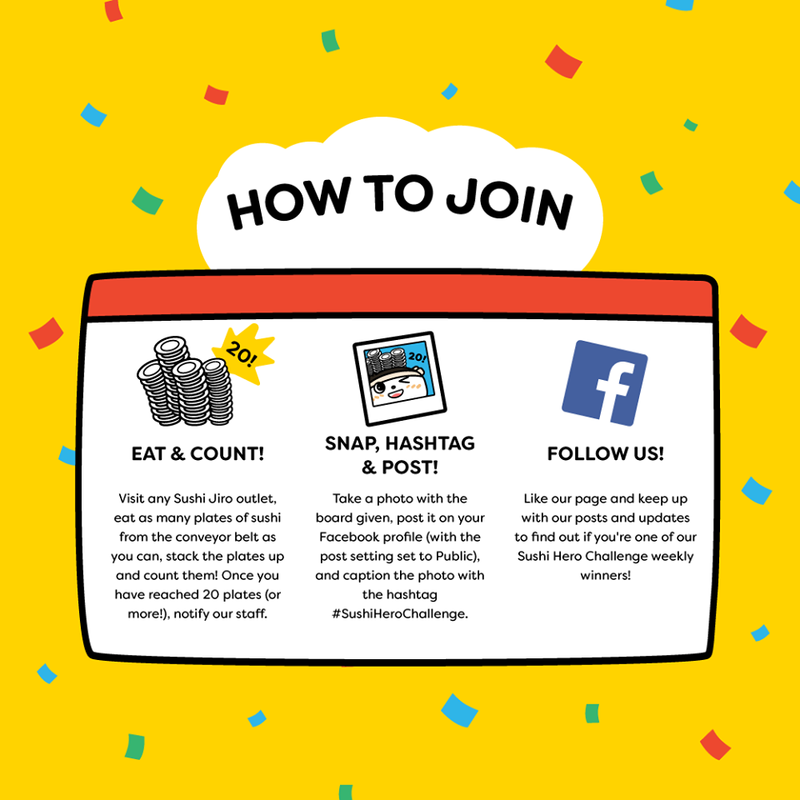 SUSHI HERO CHALLENGE! 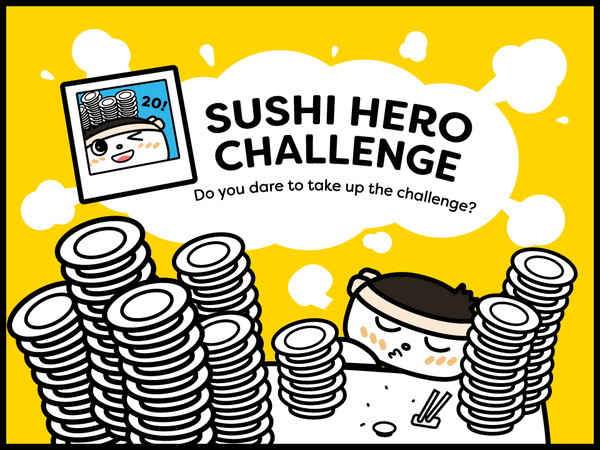 If you love sushi and can eat at least 20 plates or more, you could just be our next Sushi Hero*! A weekly winner will be contacted via Facebook to receive a RM 100 worth of Sushi Jiro dining vouchers.